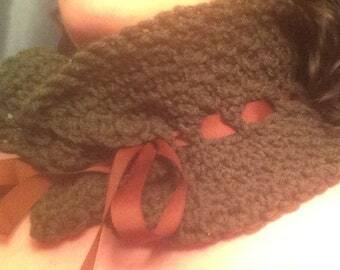 Handmade crochet shawls, wraps, hats, scarves and more! Announcement Welcome to Blisstopia! Here you will find unique and funky handcrafted crocheted pieces to add something beautiful in your life & wardrobe. Whether it's costuming, cosplay, or everyday offbeat style, we hope you find your Bliss here! Welcome to Blisstopia! Here you will find unique and funky handcrafted crocheted pieces to add something beautiful in your life & wardrobe. Whether it's costuming, cosplay, or everyday offbeat style, we hope you find your Bliss here! Do you see this gorgeousness? DO YOU SEE IT? It's even better in person. I love the heck out of it. AHAHAAHA These are a DELIGHT. I bought one for myself and two for gifts, and both recipients giggled. Thanks, Bliss! The item displayed in a listing is the item that will be sent to you. Seller is not responsible for any loss or damage incurred during shipping. If damage does occur and is deemed by the seller to be reasonably repairable, the seller may offer to repair for cost of shipping and any applicable materials required. Payment is accepted as noted in listings. Listed shipping is only to United States addresses at this time. I absolutely WILL ship to international locations - please convo me so I can get you an accurate shipping estimate! All items will be shipped following successful receipt of full payment. Listed shipping is currently offered to United States addresses - please contact via convo for shipping estimates to international locations. Items will be shipped by Flat Rate box, packed as securely as the seller can manage. If you like the style of something that you see but are interested in different colors, or want something new and different altogether, don't hesitate to contact me! I do a lot of work on custom orders, and invariably my commission work has left people very satisfied.